You know the feeling. The deadline for an important project looms largely over your head. But, instead of motivating you, you find that the stress is crippling. Do you emotionally eat about it? Cry until you’re physically exhausted enough to fall fast asleep? Sit and stare blankly at the wall, counting the minutes as the deadline approaches? Most of us are guilty of at least one of these. And, let’s be honest, they’re not the best methods of coping with or managing stress. The next time you’re feeling paralyzed by stress, take a step back and try one of these unique activities. They’ll not only get you out of your head, but you might even have some fun, too! Tea…not coffee. It can be difficult to cut down when you’re accustomed to a certain amount of caffeine, sure. But, if you’re stressed out, another cup of coffee is definitely not going to make matters any better. That’s why it’s a good idea to think about trying to add some tea to your daily routine. Green tea, specifically, contains an amino acid called Theanine which some use to treat anxiety…but the act of slowly sipping a hot beverage can be quite calming in and of itself. Whether you choose green tea, chai, or something else, try savoring a hot cup of tea the next time a looming deadline’s got you feeling down. College campuses have been incorporating dogs to help students manage stress during finals season for years. And some companies even have an office or shop dog to help boost employee morale. Yes, animals can do that, too! If you’re feeling stressed and you have a pet at home, take a few minutes out of your busy schedule and give them some attention and love. Not only is petting your furry friend a fun activity, it can reduce your heart rate and release oxytocin and endorphins as well. And if you don’t have a pet of your own? You can find a friend or family member who does and take advantage of all those great benefits while spending some quality time with your loved one. If that’s not an option, there will always be cute animals on YouTube you can watch whenever you’re feeling stressed, too. What does it mean to be mindful? Whether you’ve heard the term before or are just hearing it now, there are many different interpretations of mindfulness. However, most emphasize that the practice of mindfulness involves being aware of your thoughts, feelings, and environment on a moment-to-moment basis. There are many different ways you can practice it, but one great way to enhance mindfulness is by doing origami. Origami requires concentration and forces you to focus on what’s happening right in front of you as you fold the paper. 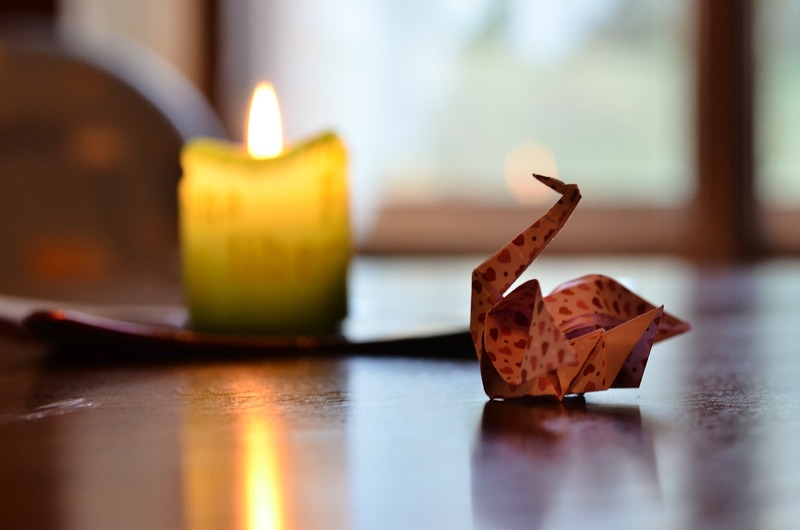 In addition to increasing concentration and focus, origami can also become meditative with practice. And, as you probably already know, meditation has been proven to reduce stress, decrease anxiety, and can improve your overall health. You can practice mindfulness and being present using a variety of different origami techniques. For beginners just starting out, there are plenty of simple designs such as a tadpole, penguin, or fox. But, if you’ve mastered those and are feeling a bit more adventurous, you could make a traditional Masu Box, provided that you have some helpful origami box instructions on hand, of course. One of the best ways to manage your stress levels is to get out of your head. And what’s one of the most universally recognized methods to do exactly that? Reading, of course! And, believe it or not, bibliotherapy is, in fact, a real thing. Reading anything, (whether it’s a self-help book or something from the Sci-Fi section – if that’s what you’re into) can decrease stress, anxiety, and improve your overall quality of life. Get out of your head and get lost in the plot of a great book. Before long, your cares will fall by the wayside and you’ll find yourself fully immersed in the story. Just don’t read anything sad! Have you heard of art therapy? If you haven’t, it’s exactly what it sounds like. Art therapy involves using creativity to make art, and, in turn, improving well-being in the following different areas: emotional, mental, and physical. No matter what your favorite method is, there’s no denying that sitting down with a piece of paper and some markers, pens, crayons, or paints is a great way to help manage stress. Similar to origami, coloring, drawing, and painting all require you to really focus on what you’re doing. And, once you get in that zone of deep, uninterrupted concentration, you can practically feel your stress and worries melting away. Go grab your art supplies and get comfortable – you’ll be feeling stress-free faster than you can finish coloring in that flower. With these 5 easy stress management tips now in your back pocket, you can kiss stress goodbye. The next time you feel stress or anxiety creeping up, start by slowly savoring a hot cup of tea. Find a furry friend to pet, read a book, or do something creative. But most of all, remember to be mindful. It may not provide instant relief like some of these other tips, but once you’ve mastered mindfulness, you’ll start to stress less overall. Try it out today, and see for yourself.